You may have heard a lot of talk about the discovery of the Higgs Boson particle, the so-called "God particle." Don't have a clue what it all means? Well, it turns out Obi-Wan Kenobi explained the particle all the way back in A New Hope. 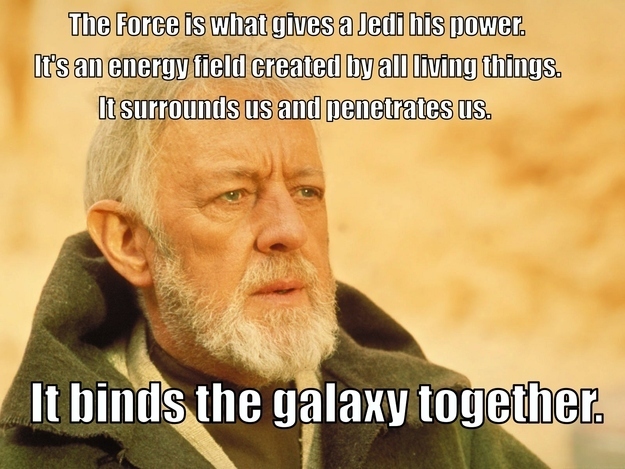 Just replace "the force" with "Higgs Boson" and you're there. Just kidding. The real explanation can be found at The Higgs Boson Explained from PHD Comics on Vimeo. But you have to admit, Obi-Wan says it better. I like Ben's description best. 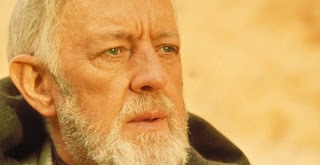 So you're saying the HIggs Boson are midichlorides or however that's spelled? Makes as much sense as anything.